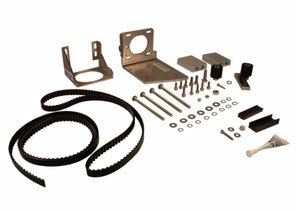 Our team can enhance the life time of systems for many years with only a fraction of the list price. So our refurbishment is not only financially attractive, but also a step to a sustainable strategy. 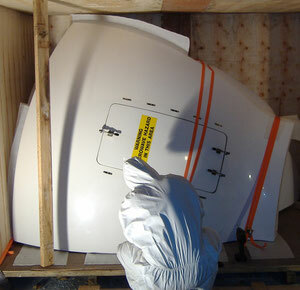 We refurbish TV and VSAT Systems with a main focus on Sea Tel, Sailor and Intellian products. Our most frequently processed systems are Sailor 900A , 900B, as well as Sea Tel 4003, 4006, 4009, 6009, 6012 and also the xx97 series with 9797B, 9707D and 9711 IMA. In addition we refurbish the Intellian V80G, V100 and V130G VSAT series on a regular basis. 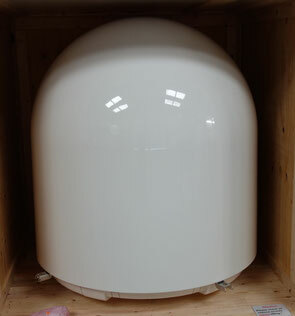 Professional radome refurbishment services for all sizes from 60cm to 360cm diameter including polishing, painting and laminating for attractive conditions. As an essential part of Refurbishment, HANTEC provides repair and upgrade services for all antenna models of Sailor, Sea Tel and Intellian, including electronics and mechanical components. Supply of costumized crates, fitted to the specific antenna type with transportation locks and certified wood for worldwide shipping.